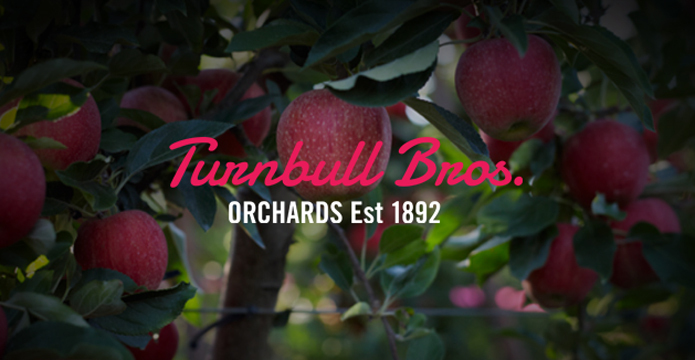 Steeped in more than 100 years of heritage, Turnbull Brothers Orchards is a compelling story of our family’s dedication to the land and a passion to deliver Australia’s finest fruit. 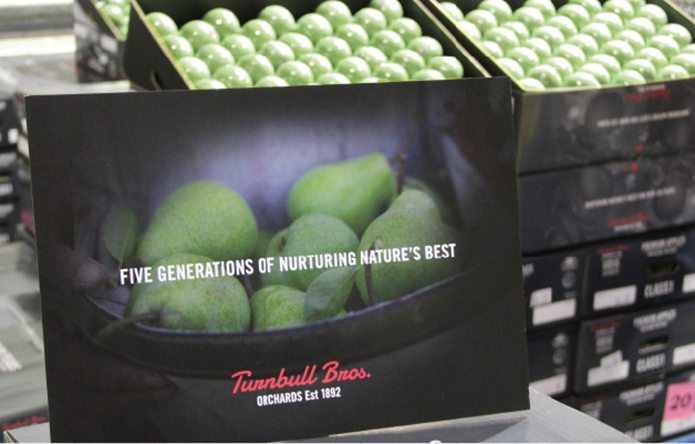 An approach that has us sensitively and intelligently working with nature in a way that our fruit is gifted with the best of what nature can offer. “Our aim from this rebrand was to hit eight to 10 pre­mium gro­cers – those that also stock high-end retail prod­ucts such as Mag­gie Beer. 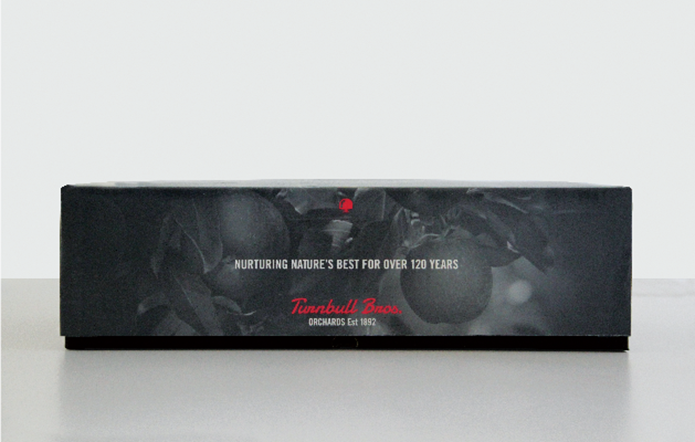 After only three days at the mar­ket, we’re already 50% there,” says Phil Turn­bull, Man­ag­ing Direc­tor of Turn­bull Bros. Orchards. To view the new website click here. 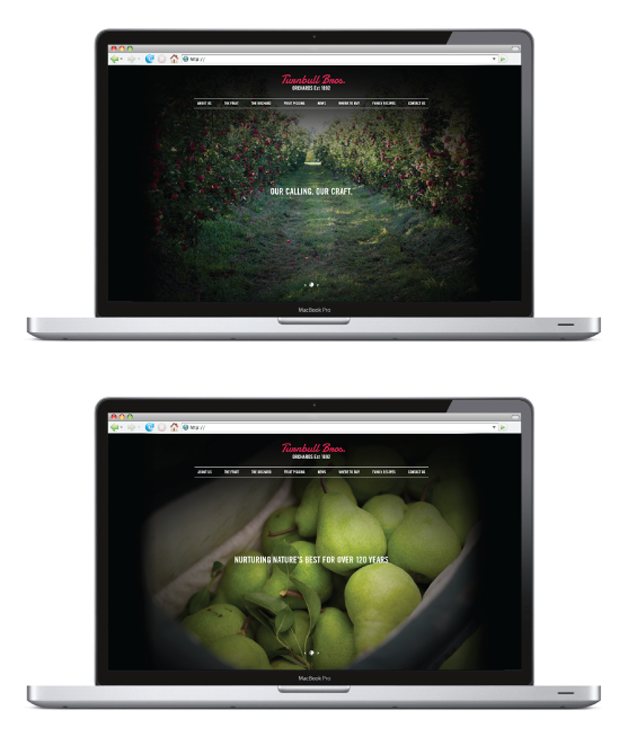 Turn­bull Bros. proudly embraces a tra­di­tional arti­san approach to grow­ing, pick­ing and dis­trib­ut­ing fruit, using many tech­niques the fam­ily did more than a cen­tury ago. Yet many con­sumers are unaware of this jour­ney from the farm to the plate. 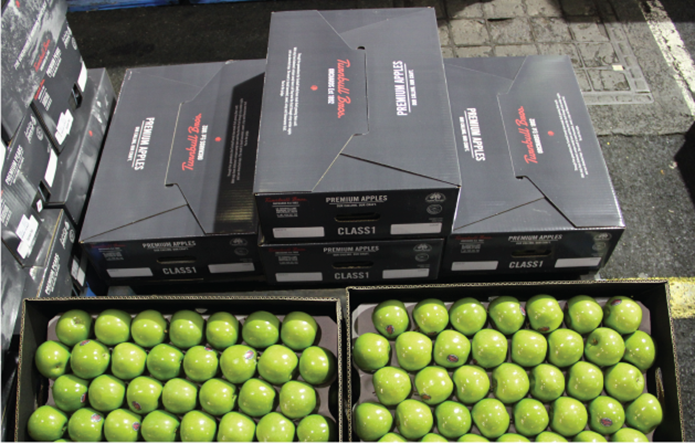 Min­imis­ing the degrees of sep­a­ra­tion, Turn­bull Bros. elim­i­nates unnec­es­sary han­dling to max­imise fresh­ness and deliver the finest qual­ity hand-picked apples, pears, cher­ries, nec­tarines and peaches every time. So we sought to cre­ate an iden­tity and pack­ag­ing solu­tion that high­lights the pre­mium nature of their brand. “Bring­ing to life the new brand essence – Nur­tur­ing Nature’s Best – the solu­tion needed to speak of loca­tion, tra­di­tion and fam­ily. 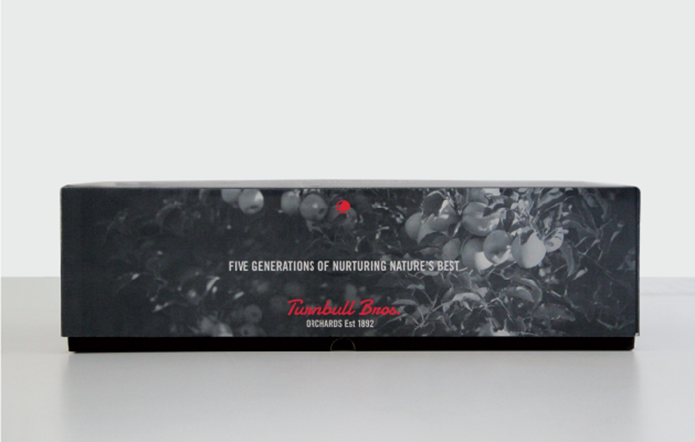 Through a cre­ative brand­ing process, we defined a strate­gic direc­tion that demanded a mod­ern, yet pre­mium, inter­pre­ta­tion of tra­di­tional fruit pack­ag­ing. This drove the cre­ative to the hero of the rich sto­ry­telling drawn from the brand her­itage and hon­est mind­set of the Turn­bull Bros. Authen­tic pho­tog­ra­phy bal­anced with hon­est brand mes­sag­ing is a pow­er­ful com­bi­na­tion and has allowed for a cat­e­gory redefin­ing iden­tity,” said Tim Wood, Lead Designer at Truly Deeply. Our mar­ket eval­u­a­tion revealed an abun­dant use of colour – and lots of it – so a key part of the solu­tion was to pro­vide eco­nomic pack­ag­ing that would stand out in whole­sale and sup­ply a pre­ferred dis­play in store. The result is a series of grey-toned car­tons with a ‘retro red’ brand mark. On the pack­ag­ing, a char­coal colour was used to high­light the nat­u­rally rich colour of the fruit while the ‘retro red’ is a mod­ern inter­pre­ta­tion of the brands her­itage and an imme­di­ate stand out on the pack­age design. “Our indus­try is largely unaware of the value of the brand­ing process but I believe in the influ­ence of a brand and beau­ti­ful pack­ag­ing. “I really enjoyed Truly Deeply’s cre­ative process. It encour­aged us to really think about the key ele­ments of the brand and form a solid, clear direc­tion for our future. We knew what we had but we didn’t know how to artic­u­late it. The strat­egy devel­oped was gold and really focused the project, giv­ing real mean­ing to entire process,” Turn­bull added. 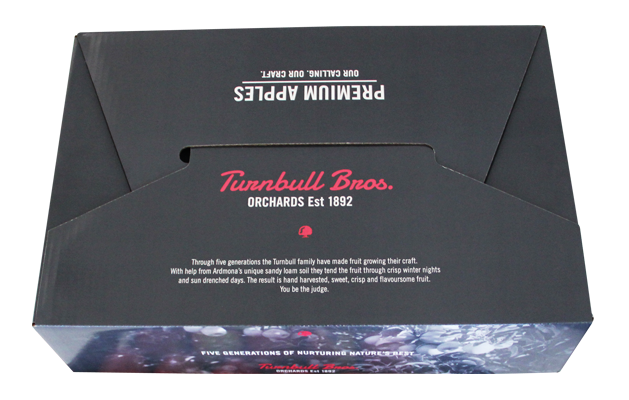 In addi­tion to the car­tons and stick­ers, we cre­ated an image library and new web­site to illus­trate the his­tory of Turn­bull Bros. Orchards. In 1892, Edward Turn­bull and his brother-in-law, Henry Pick­worth pur­chased land in Ard­mona in the Goul­burn Val­ley, Vic­to­ria. 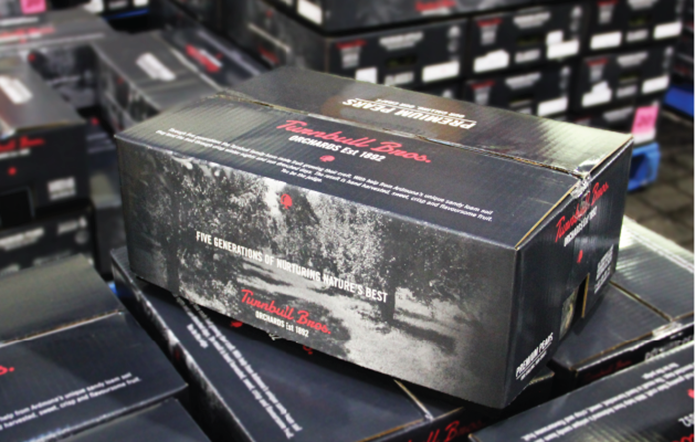 Five gen­er­a­tions later, Turn­bull Bros. Orchards is renowned for pro­duc­ing. 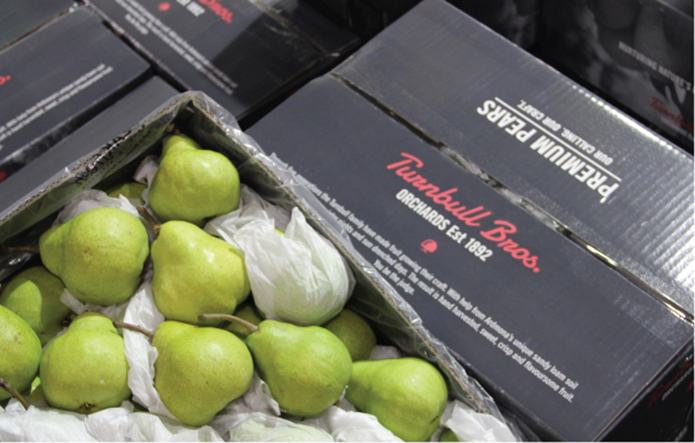 Their deep-rooted fam­ily pas­sion for the art of being a qual­ity orchardist pro­vides the authen­tic­ity for the mar­ket­ing of a pre­mium Aus­tralian fruit brand.